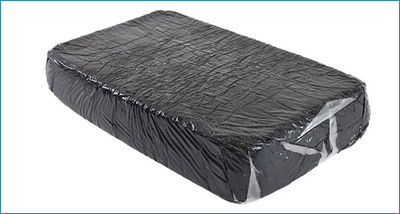 Radmat DM10HD is a high-density drainage element for roof and podium areas requiring vehicular access or high volumes of pedestrian access, including motorised wheelchairs and mobility scooters. 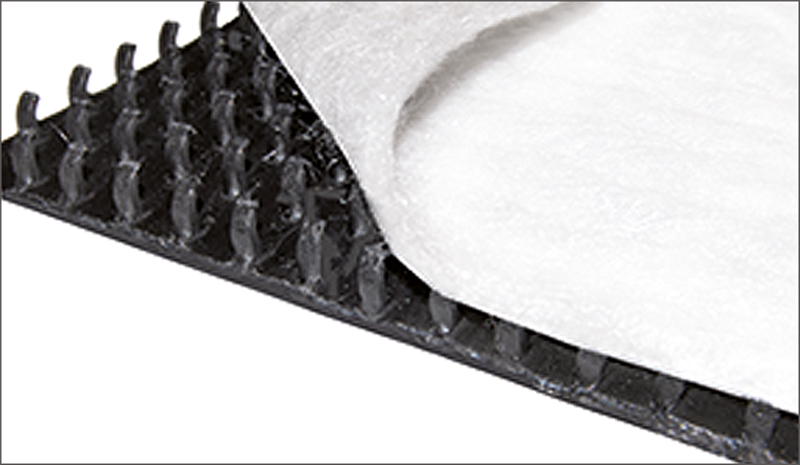 Consisting of a PE-HD core laminated to a PE-HD foil on the underside and a PP geotextile fleece on the upper side Radmat DM10HD has a crush resistance of in excess of 1,000 kPa. 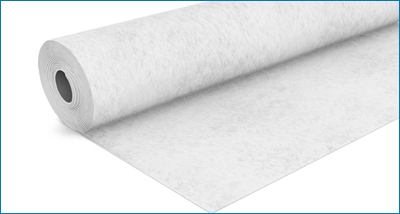 Unroll over waterproofing membrane or protection fleece butting side laps and end laps. 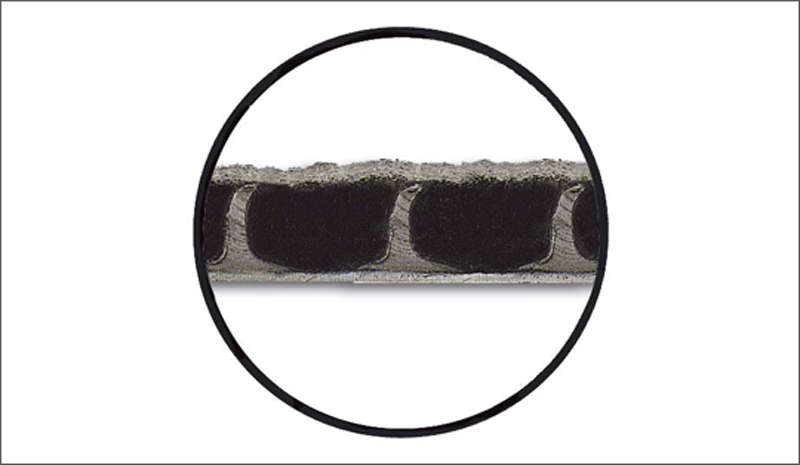 Excellent waterproofing performance with toughness, flexibility and adhesion. 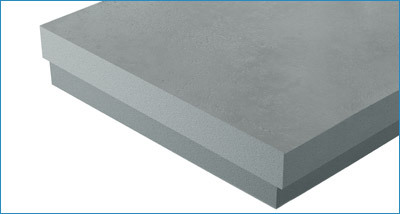 A unique rigid, closed cell type extruded polystyrene board with integral high density skin. 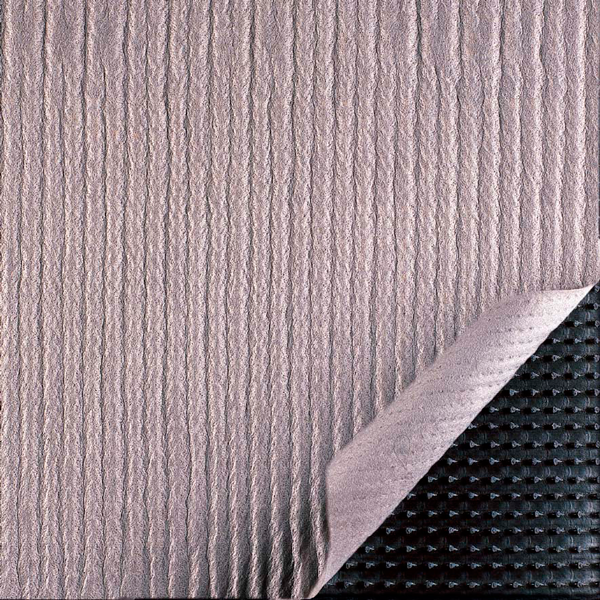 A spun bonded polyethylene geotextile based upon Tyvek® by DuPont that is waterproof and vapour permeable.